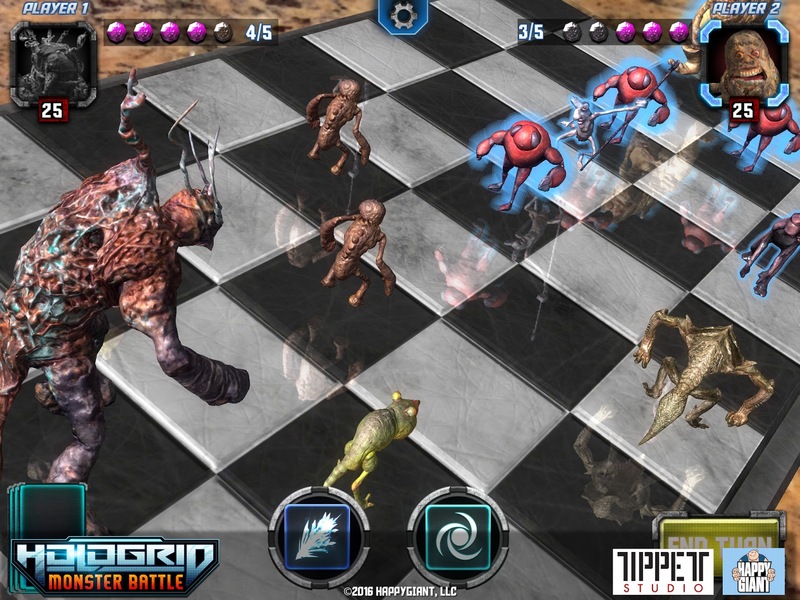 HoloGrid: Monster Battle a mobile hybrid board game created by Tippett Studio and Happy Giant. 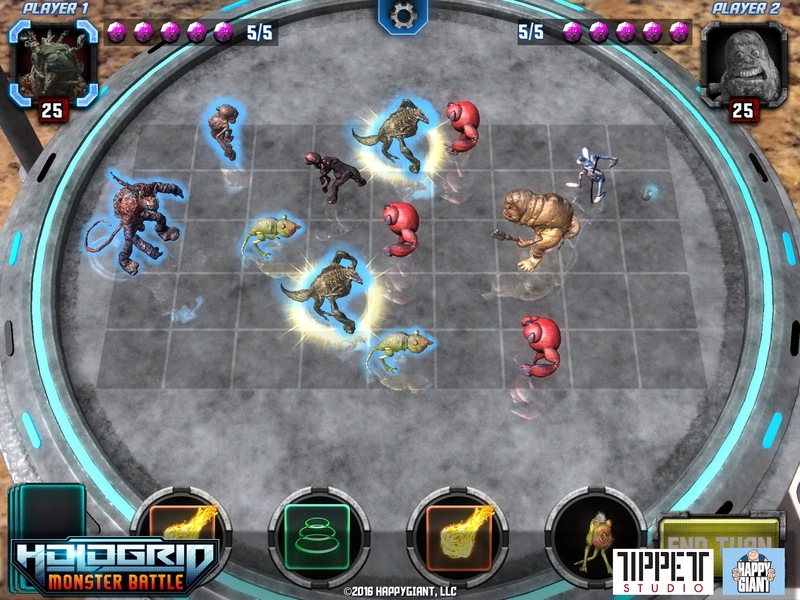 As a board game, CCG and digital mobile game all rolled into one, HoloGrid delivers a new type of gaming experience. 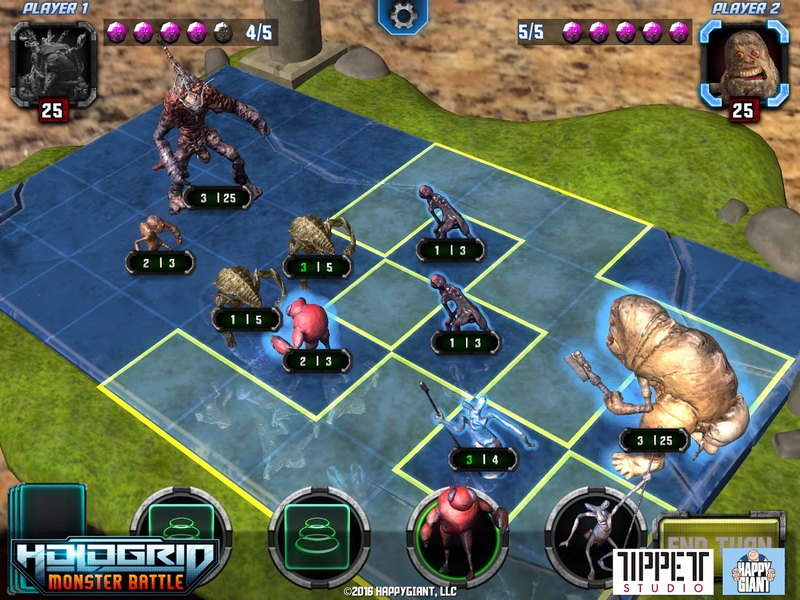 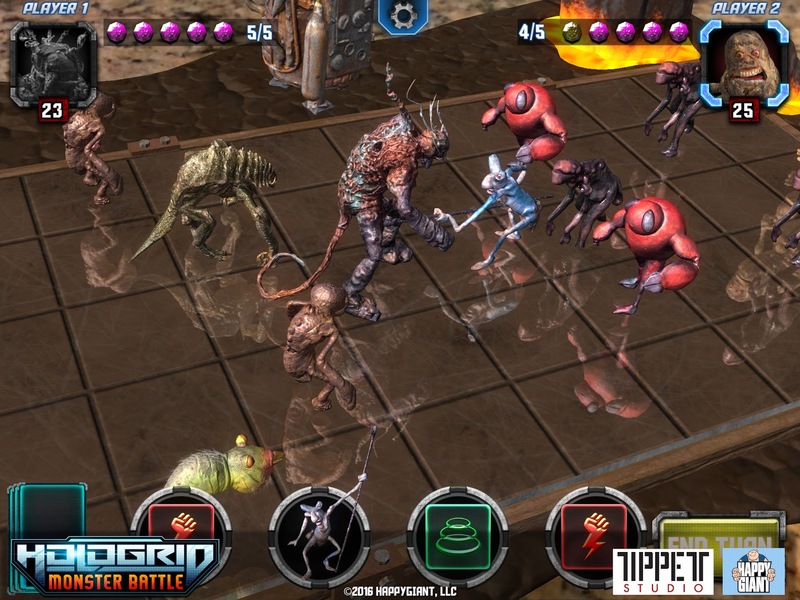 Pure strategy: HoloGrid's gameplay uses team and spell-based combat with the use of over 30 possible creatures, allowing for well over 100,000 team combinations, and all creatures come with their own unique abilities, allowing for endless amounts of strategy. 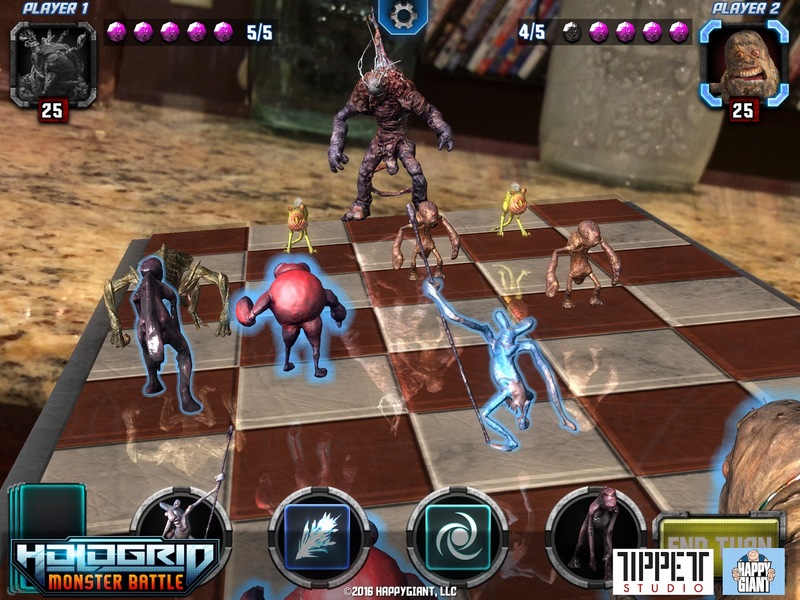 Fast-paced: With matches that take roughly about 10 to 15 minutes to completely, quick sessions are always possible. 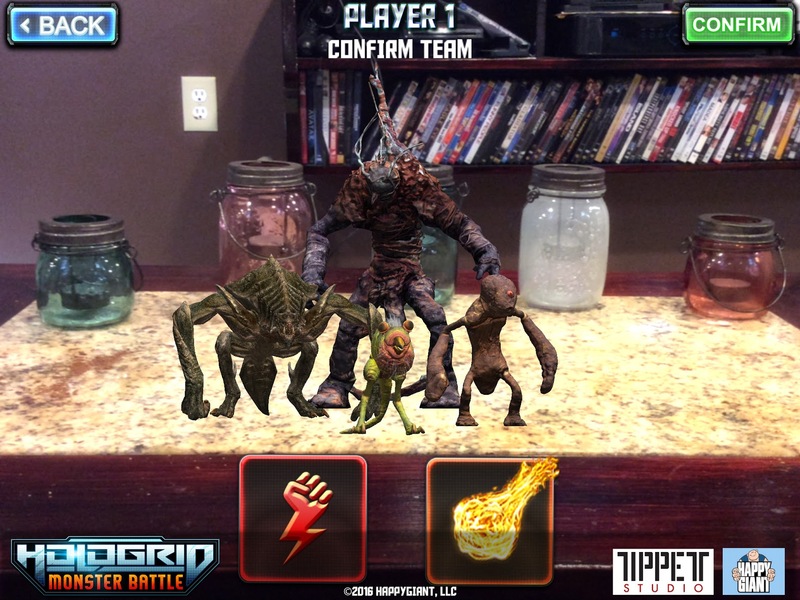 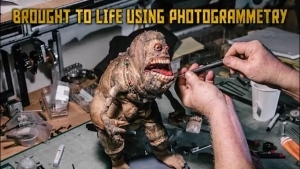 Strong animation team: Headlined by Phil Tippett and his team, HoloGrid contains amazing animations from over 30 years of experience. 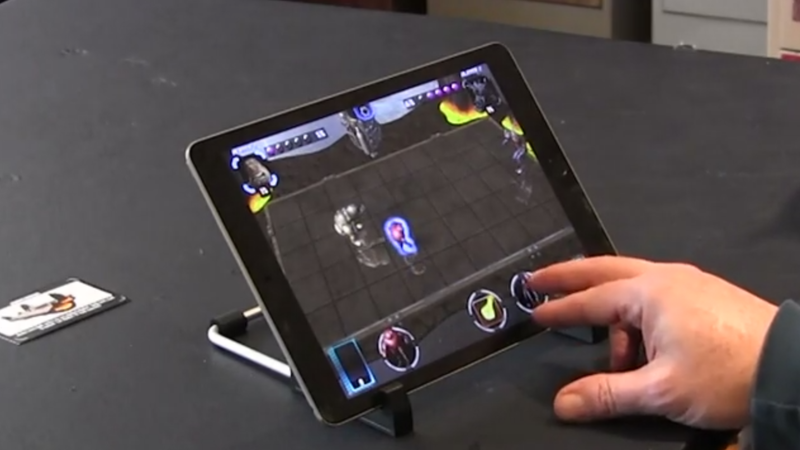 Mobile platforms Enjoy the game on both iOS and Android.